The Ultimate "Sims 4" Career Guide! The Sims 4 Ultimate Career Guide! There are a lot of careers to choose from in The Sims 4, and it can be hard to pick which one for your Sim to enter into! What sort of skills will they need? What sort of Aspiration should they choose? Will they make enough money? 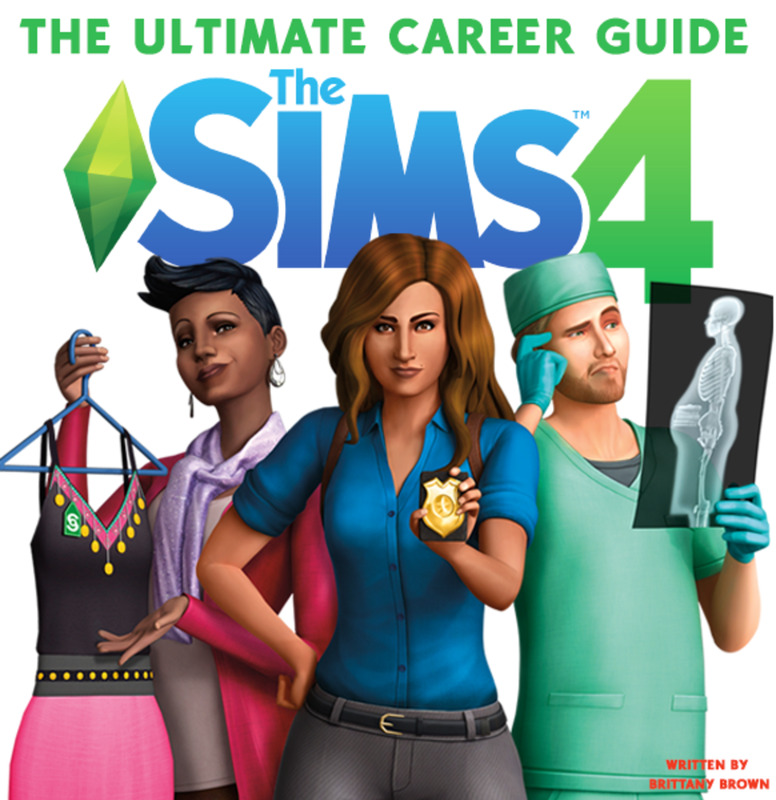 This is The Ultimate Sims 4 Career Guide, and has a breakdown of every career in the game, from base game careers, to all the ones added through Game and Expansion Packs; even teen careers. Find out about all the careers in The Sims 4, how many levels each career has, the highest amount of simoleons your Sim can earn, what skills they'll need and what Aspiration the career best pairs with! Are you just looking for the highest earning careers in the game? Check out my guide here! Rabbit hole/Standard Careers The majority of the careers in the game are rabbit hole careers, meaning your Sims disappear off their home lot during work hours and you don’t follow them to work. There are occasionally pop-ups while their away for you to choose how they’ll react to situations at work, and you can also pick from a list of pre-defined actions (away actions) for them to do while at work, like “work hard”, “make friends”, “leave early”, etc. which will affect their work performance during the day. Active Careers Active careers were brought into the game with The Sims 4: Get To Work expansion pack. These careers allow you to actually follow your Sims to work and perform interactions throughout the work day with them. 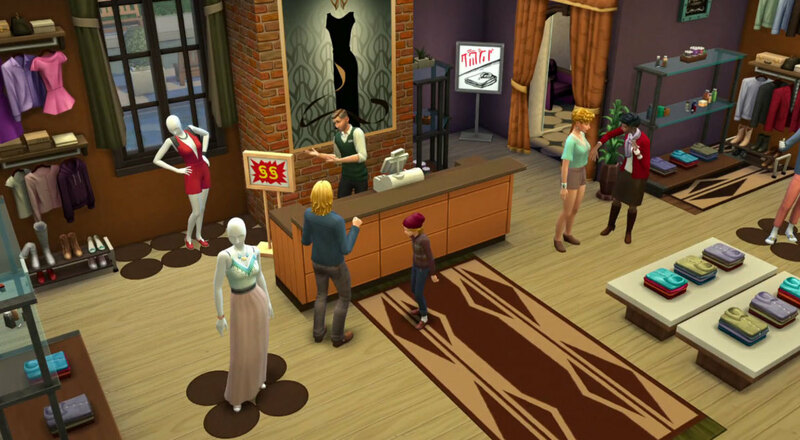 Semi-Active Careers These careers are introduced with The Sims 4: City Living expansion pack. These careers give your Sims the option to either go to work each day in the traditional “rabbit hole” way, or you can choose for them to work from home, and complete a small number of tasks from home to affect their work performance, rather than having to go to the office. Business Owner Some of the “careers” in the game are more linked to owning a business, like the restaurant, retail and veterinary options. While you’re not really “working” a job, you can own and manage the business and make money that way. Part-Time Jobs (teen only) Part-time jobs are only for teens in the game, and allow them to work after school for some additional money and skills. Don't feel like actually working your way up in a career? You can open the cheat console and use a cheat to go up levels in careers, without your Sim actually being promoted! To open the cheat console, first type “Ctrl + Shift + C” on PC or “Command + Shift + C” on Mac. Then type in "careers.promote" and the name of the career you're looking to promote (i.e. "careers.promote actor" will level up the actor career, or "careers.promote painter" will level up the painter career). You can continue to enter in the cheat codes until you reach the top level of your desired career! 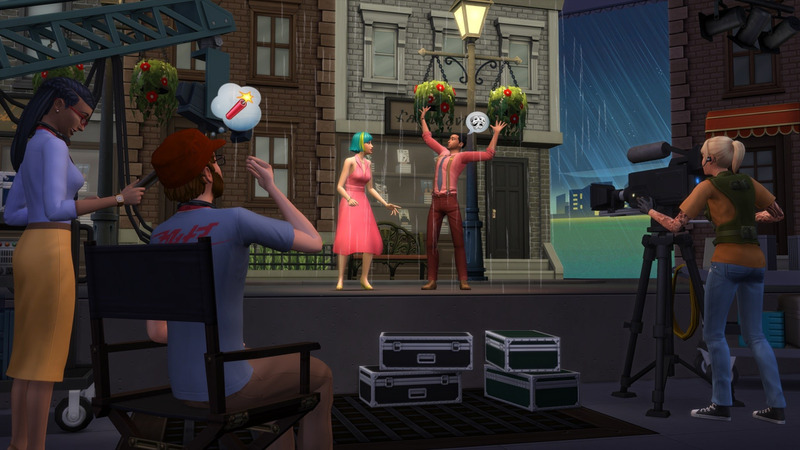 The Sims 4: Get Famous expansion pack added on the addition of the active Actor career. The Actor career allows your Sims to audition for gigs, prepare for roles and hone their skills (there’s an Acting Skill, but your Sim would also do well to work on dancing, singing, guitar, comedy and charisma skills as well, as some roles require additional skills), go to set and film commercials, TV shows, and movies. Career Levels/Branches: Active careers do not branch; however, there are 10 career levels for actors. Highest Amount of Income Your Sim Can Earn: Upwards of $9,800 simoleons per gig at Level 10. Best Skills for This Career: Obviously the acting skill. But as mentioned above, it would also be a good idea for your Sim to have high level comedy, charisma, singing, dancing, and guitar skills for a better variety of gigs to apply at. Best Aspiration for This Career: Master Actor/Actress Aspiration. The objectives include normal things you’ll do by progressing in the career; levelling up the skill, practice acting, join the acting career, receive an award, etc. The reward is the World-Renowned Actress/Actor trait, which will allow your sim to never fail an acting action on set, so they can use Risky techniques without fear of failure! 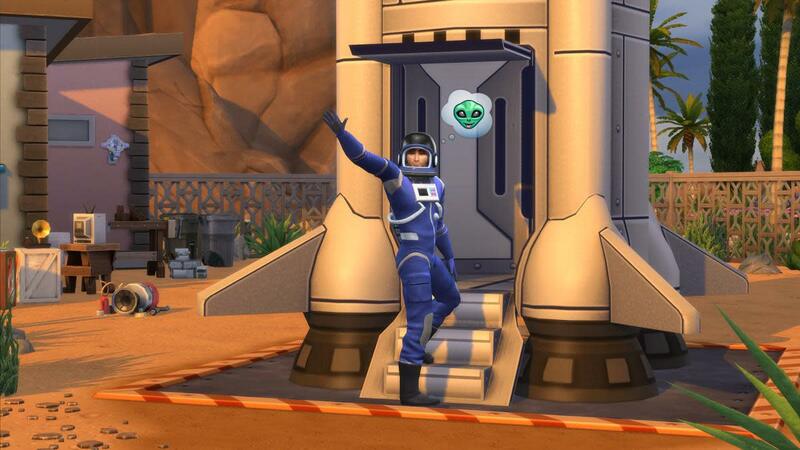 The Astronaut Career was included in the base game and allows your Sim to become an astronaut! This is a rabbit hole career, but they can even obtain a space ship which they can assemble on their home lot and go off to space, interact with aliens, and bring back special space artefacts. Career Levels/Branches: There are 7 career levels for the Astronaut career before your Sims branches off into either the Space Ranger or Interstellar Smuggler branch. Both branches have 3 levels until you reach the top level of the career. Highest Amount of Income: You can earn $3717 per day at level 10 of the Interstellar Smuggler Career branch! Best Skills: You’ll need high logic and fitness skills to excel in the Astronaut careers. There’s also a Rocket Science skill, which will help with building your spacecraft. Best Aspiration: There’s no particular aspiration for the Astronaut career, but the Bodybuilder Aspiration has a lot of the fitness skills that you’ll need for the career, and the Nerd Brain Aspiration also has a lot of the logic skills you’ll need. 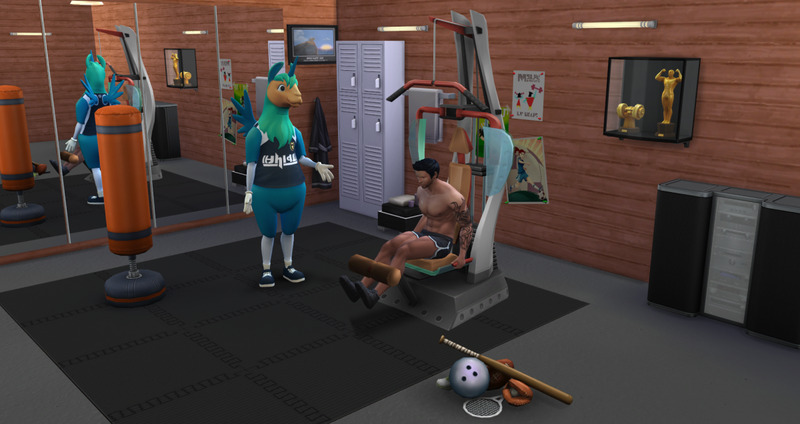 The Athlete Career was patched into the game in December 2014, and allows your Sims to be a professional athlete. The rabbit hole career basically coincides with the fitness skill, so you’ll want to have a high fitness level skill and you’ll get promoted fairly easily through this career. Career Levels/Branches: There are four levels in the main Athlete career, before you can branch of to either a Bodybuilder or Pro Athlete. Each branch has 6 more levels until you reach the top. Highest Amount of Income: You can earn a $3000 per day at level 10 of the Bodybuilder Career. Best Skills: Obviously the fitness skill, but you’ll also need a high skill level in charisma. Best Aspiration: The Bodybuilder Aspiration goes hand-in-hand with the Athlete Career, with most of the objectives being things you’ll complete while you level up in the career path. The Babysitter part-time job is a rabbit hole job, available for teens only.It’s available on Saturday and Sundays only from 6pm-12am, and your Sim’s job is taking care of children. Career Levels/Branches: There are only three levels in all part-time jobs. For Babysitter, there’s Baby Sitter (Level 1), Nanny (Level 2) and Daycare Assistant (Level 3). Highest Amount of Income: Your Sim can earn $48 per hour at level 3 of the Babysitter job. Best Skills: Charisma is the only required skill (at Level 2). The Barista part-time job is a rabbit hole job, available for teens only. The hours are Monday through Friday from 11pm-4:00am. The job allows your Sim to work at a café and make coffees. Career Levels/Branches: There are three levels- Coffee Stain Remover, Bean Blender, and Latte Artist. Highest Amount of Income: $25 per hour at level 3, Latte Artist. Best Skills: Your Sim will need to have at least a level 2 Mixology skill upon reaching Level 2 of the career. The Business Career was another that was released in the base game in the free December 2014 patch. The career allows your Sim to work as a business associate (though which “business” is never specified; I suppose just a nameless corporate office somewhere). Career Levels/Branches: There are six levels in the regular Business career, before your Sim can either branch off to the Management Career or the Investor Career, which both have four levels before the top of the career. Highest Amount of Income: Sims can earn up to $3248 per day, at Level 10 of the Investor Career branch. Best Skills: Your Sim will need high levels of Charisma and Logic to excel in this career. Best Aspiration: There’s no particular Aspiration which pairs with this career, but due to the high amount of money you can earn, it might be good to pair it with money-focused Aspirations, like Mansion Baron or Fabulously Wealthy. Take your Sim into the “seedy” side of life with the Criminal Career. This career has been in the game since its release, and allows your Sim to have a professional career as a Criminal. 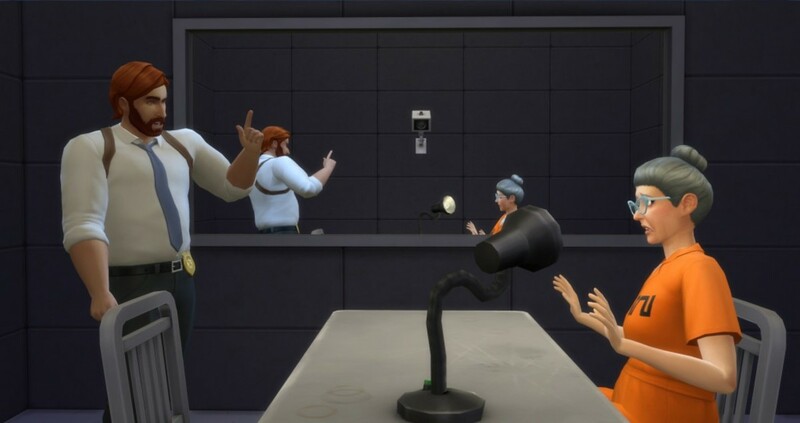 Since there’s no active law enforcement in the game (unless you have Get to Work installed), I guess it pays to commit crimes, and no one will stop your Sims from doing so! Career Levels/Branches: The base career has five levels before your Sim can branch to either the Boss Career (i.e. mob boss) or the Oracle career (which focuses more on computer hacking). Highest Amount of Income: Your Sim can earn up to $3115 a day at level 10 of the Boss Career branch. Best Skills: Your Sim will need high levels of Mischief skill to progress in the Criminal Career. If you branch off to The Oracle Career, your Sim will additionally need high Programming skills. The Boss Career branch requires mid-range Handiness skills. Best Aspiration: The Chief of Mischief and Public Enemy aspirations pair perfectly with this career; your Sim will easily complete either (or both) aspirations by causing mischief and making enemies in their career. The Critic Career comes with The Sims 4: City Living expansion pack, and allows your Sim to become an art or food critic. This is a semi-active career, so your Sim can either work from home or go into an office every day, to give you a bit of variety. Career Levels/Branches: There are three levels in the main Critic Job career, before your Sim can branch off to either the Art Critic or Food Critic branches. Both branches have six levels before reaching level 10. Highest Amount of Income: Your Sim can earn $2,270 per day at Level 10 of the Art Critic career. Best Skills: Your Sim will definitely need high writing skills for this career, as well as high painting, music, or comedy (if going into the Art Critic branch) or mid-range Cooking and Gourmet Cooking Skills if going into the Food Critic branch. Best Aspiration: The Best Selling Author aspiration might go well with this career due to the writing skills necessary for both the aspiration and career goals. If you don’t mind doing some book writing on the side, this aspiration should be easy to complete alongside progressing in the career. The Culinary Career is from the base game, and allows your Sim to pursue a career as either a Chef or a Mixologist. This is a rabbit hole career, but you can also practice the associated skills (Cooking and Mixology) from home or community lots at any time. Career Levels/Branches: The Culinary Career has five levels before branching off to either the Chef or Mixologist Career branches. Highest Amount of Income: Your Sim can earn $2460 per day at level 10 of the Chef Career. Best Skills: Obviously your Sim will need high Cooking skills and at least Level 4 Mixology skills. If going into the Chef branch, they’ll also need high Gourmet Cooking skills; if going into the Mixology branch, they’ll need to increase their Mixology skill and also work on reaching Level 8 Charisma skill. Best Aspiration: The Master Chef and Master Mixologist skills both work perfectly with the Chef and Mixology career branches, respectively. Both aspirations work hand-in-hand with the career goals. The Detective Career is one of three active careers that come with The Sims 4: Get to Work expansion pack. The career allows you to follow your Sim to work at a police department and work as a detective; investigate crimes, interrogate criminals, and lay down the law. Career Levels/Branches: Active careers don’t branch; however, there are ten career levels which end at your Sim being promoted to Police Chief. Highest Amount of Income: Your Sim can earn $2120 per day at level 10 of the Detective Career. Best Skills: There are no real associated skills or required skills for this career, but I’d recommend working on your Sims Charisma career, to make it easier for them to speak with other Sims and interrogate them later on. Best Aspiration: Sadly, The Sims 4: Get to Work didn’t introduce any new Aspirations, so there’s no Aspiration to go with this career directly. However, I’d say the Friend of the World Aspiration might pair nicely with this career due to the nature of the job; your Sim will need to meet lots of Sims, will travel to different locations (crime scenes) to meet them and level up their Charisma skill, so the Aspiration might compliment the normal career goals nicely. The Doctor Career is another active career from The Sims 4: Get to Work expansion pack. As its name suggests, the career allows your Sim to work as a doctor, and you can follow them to work as they examine and diagnose patients, perform surgeries, and even deliver babies. Career Levels/Branches: Active careers don’t branch, but there are ten levels in this career before being promoted to Chief of Staff at Level 10. Highest Amount of Income: Your Sim can earn $2800 per day once reaching Level 10. Best Skills: There’s oddly no doctor or medicine-related skills for this career, however, your Sim will do well to work on both their Logic and Handiness skills to perform work tasks throughout their day. Best Aspiration: There’s also no particular Aspiration which pairs with this career, but due to the nature of the job, it might be good to use the Nerd Brain Aspiration, which focuses on progressing both the Logic and Handiness skills, which you’ll also need to progress in the career. The Entertainer Career was included in the base game, and allows your Sim to pursue a rabbit hole career in either the music world or as a comedian. Again, despite not being able to actually follow your Sim to work, you can still practice the related music and comedy skills at home and community lots. Career Levels/Branches: There are four branches in the main Entertainment Career before your Sim can branch off to either a Musician or Comedian. Highest Amount of Income: Your Sim can earn $2844 per day at Level 10 of the Comedian Career branch. Best Skills: Your Sim will need both level 3 of Guitar/Violin and Comedy skills before branching off, then depending on which branch they choose, they’ll also need high Comedy skills or high Guitar/Violin skills to reach level 10. Best Aspiration: Depending on the chosen branch of the career, you can either choose the Musical Genius or Joke Star Aspirations to pair with this career. The Fast Food Employee job is a base-game part-time job for teens in The Sims 4, and allows them, as the name suggests, to work as an employee at a rabbit hole fast food restaurant. Highest Amount of Income: Your Sim can earn $16 per hour at Level 3. 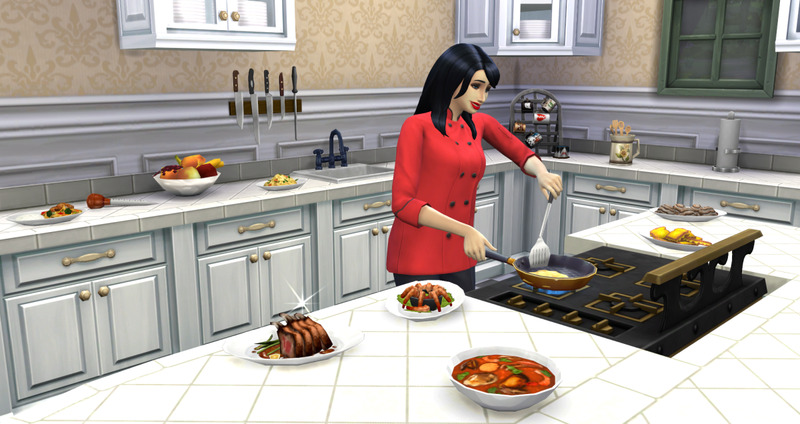 Best Skills: Your Sim will need Level 2 Cooking skill upon reaching Level 2 of the job. 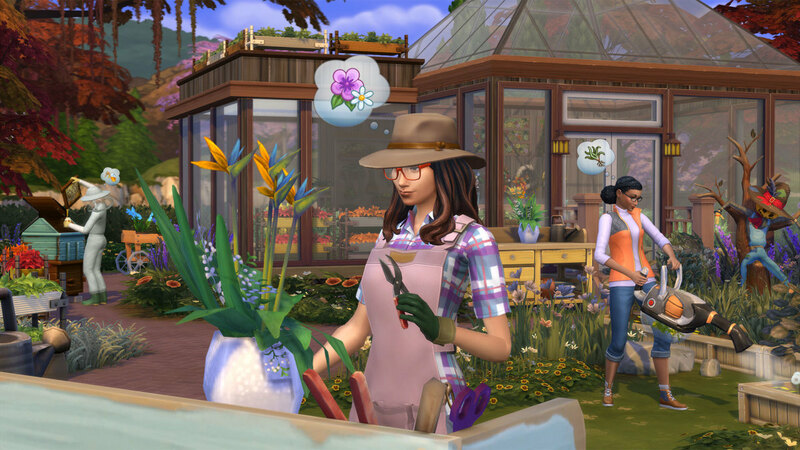 The Gardener Career was added with The Sims 4: Seasons expansion pack, and allows your Sim to work in the semi-active gardening career. They can either disappear to work each day, or stay home and focus on gardening-related tasks. Career Levels/Branches: There are four levels of the main Gardener Career before your Sim can branch off to either the Botanist or Floral Designer Career branches. Highest Amount of Income: Your Sim can earn $2940 per day at Level 10 of the Botanist Career. Keep in mind, however, that your Sim can also earn additional income by selling their harvestables or floral arrangements. Best Skills: Obviously your Sim will need high level Gardening Skills for either branch. There’s a new Flower Arranging Skill, which goes with the Floral Designer Career branch. Your Sim will need Level 10 Logic to reach the top of the Botanist Career branch. Best Aspiration: There’s no specific Aspiration that’s related to this career, however, the Freelance Botanist Aspiration would work perfectly with either branch of the career, as it focuses on gardening. The Outdoor Enthusiast Aspiration (which comes with The Sims 4: Outdoor Retreat game pack) would also be a nice choice if you finish the Freelance Botanist Aspiration early, since gardening requires your Sim to be outdoors much of the time. The Manual Laborer job is a part-time job for teens. The career allows your teen to work as a manual laborer on the weekends. Career Levels/Branches: There are three levels: Lawn Mower, Landscaper and Backhoe Operator. Highest Amount of Income: Your Sim can earn $70 per hour at Level 3 of the job. This is the highest paying teen career in the game! 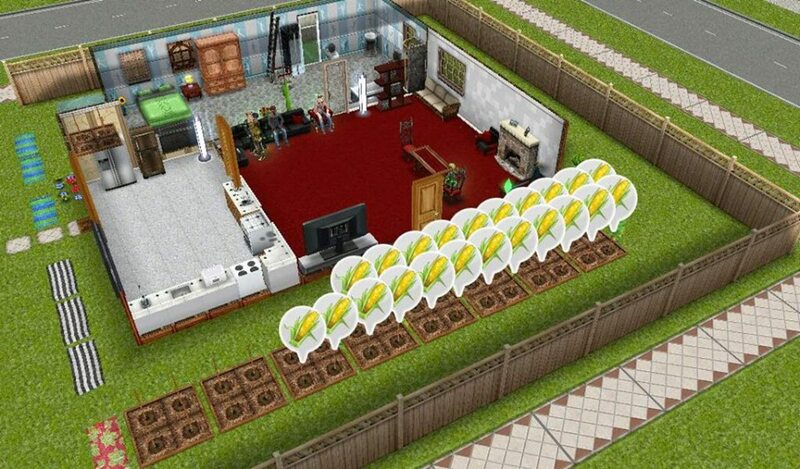 Best Skills: Your Sim needs Level 2 Gardening Skill at Level 2 of the job. The Sims 4: Strangerville game pack added the Military Career. The rabbit hole career allows your Sim to work in the military, though I never realised there was a need for military in the peaceful world of The Sims! Career Levels/Branches: There are five levels in the main Military career, before your Sim can either branch off to the Covert Operator or Officer branches. Highest Amount of Income: Your Sim can earn $3376 per day at Level 10 of either branch of the Military Career! Best Skills: Your Sim needs high Fitness skill for the main levels of the career, and if branching off to the Covert Operator branch, they’ll need high Logic skill, and high Charisma if going into the Officer branch. Best Aspiration: There’s no dedicated Aspiration for this career, but the Bodybuilder Aspiration might work well, since you’ll need to max out your Fitness Skills for both the Aspiration and the career! 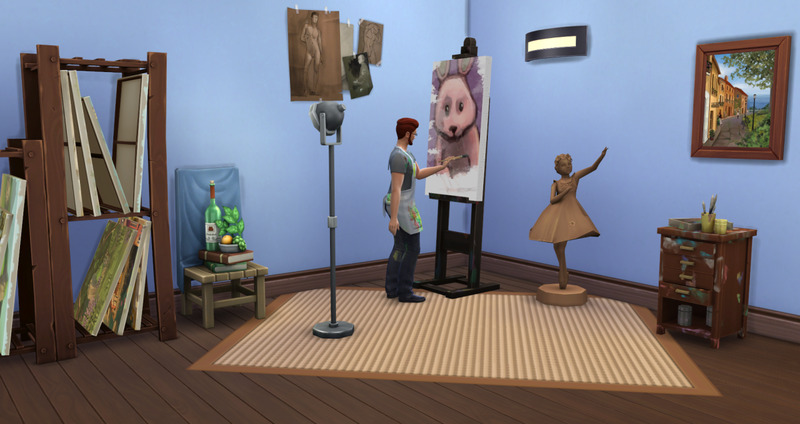 The Painter Career comes with the base game and is a rabbit hole career which allows your Sim to become a painter. Like many rabbit hole careers, though you can’t follow your Sim to work, you can practice the Painting Skill at home, or on community lots. Career Levels/Branches: There are six levels to the main Painter Career, before your Sim can branch off to either the Master of the Real or the Patron of the Arts branches. Highest Amount of Income: Your Sim can earn $2460 per day at Level 10 of the Master of the Real branch. Best Skills: Obviously your Sim will need to max out their Painting Skill for this career. But your Sim will also need high Charisma in the Patron of the Arts branch, and high Logic in the Master of the Real branch. Best Aspiration: The Painter Extraordinaire Aspiration works perfectly with this career, as you’ll have to do a lot of painting and levelling up your Sims Painting skill for both the career and the Aspiration. 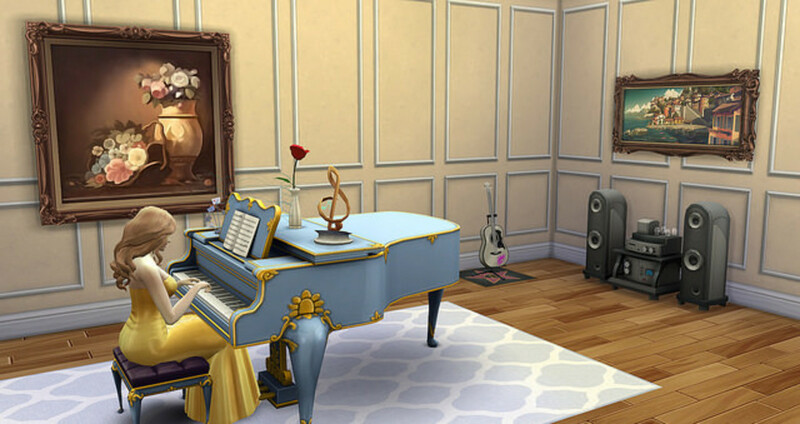 The Mansion Baron Aspiration is also a nice one with this career (maybe after you’ve completed the Painter Extraordinaire Aspiration), as it requires your Sim to own a lot of art, which you can essentially paint yourself! 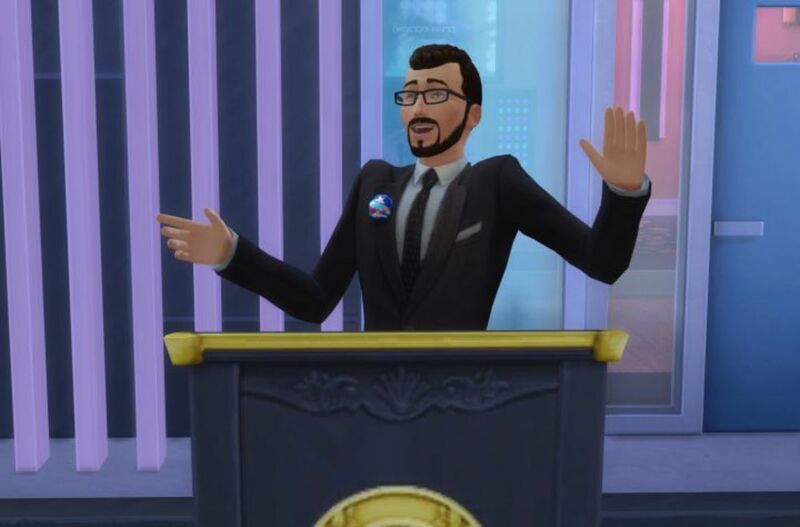 The Sims 4: City Living Expansion Pack included the semi-active Politician Career, which allows your Sim to work in the cutthroat world of Politics. Will they be the next Barack Obama? I suppose it’s up to you! Career Levels/Branches: There are four levels in the main Politician career, before your Sim can branch off to either the President or Charity Organizer branch. Highest Amount of Income: You can earn $2380 at Level 10 of the President Branch. Though you earn less at Level 10 of the Charity Organizer branch- $2052 per day- you can also collect donations from other Sims and earn thousands of dollars per day, if you’re good at asking for donations! Best Skills: Having a career in politics is all about Charisma, so you’ll definitely want to max out your Sims Charisma skill. That’s the only required skill for the career, but you’ll have plenty of other daily tasks to work on, like securing votes or collecting donations. Best Aspiration: There’s no special Aspiration for this career, but due to needing to meet and talk with lots of other Sims and needing to max out the Charisma skill, I’d say the Friend of the World Aspiration would be a good fit. 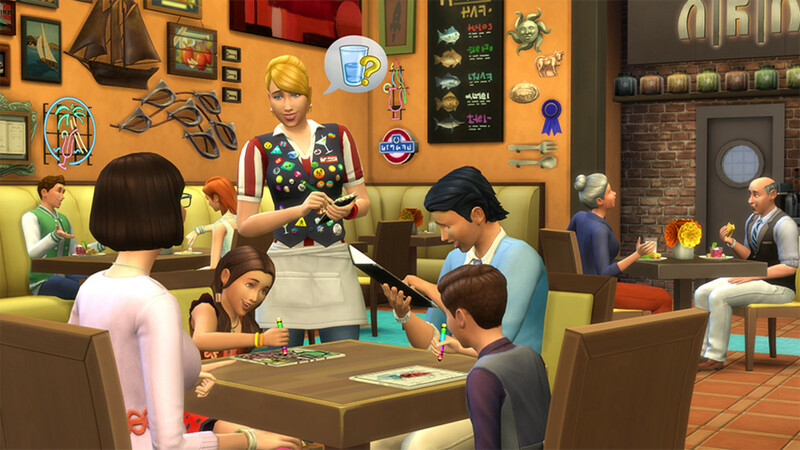 The Sims 4: Dine Out included the option for your Sim to own and run their very own restaurant. While this isn’t a traditional career, it’s still a lucrative way for your Sim to earn money, and will probably take up as much of their time as full-time career. Keep in mind that you can also open your business without your Sim physically being there, once they’ve hired employees. Highest Amount of Income: Turning a profit can be difficult at first in the restaurant business, but if you work hard (literally the majority of the Sim day), markup your dishes appropriately, and use Restaurant Perks you can start to turn a profit of upwards of $2000 simoleons per day. Best Skills: It can’t hurt to have a high Charisma Skill for this business, since your job will mainly be talking with customers, taking their orders, and recommending dishes. The Sims 4: Get to Work Expansion Pack added on the option for your Sim to purchase and open their own retail store. Your Sims can sell pretty much anything in the game in the retail shops; from clothes, to knick knacks, to crafted goods they’ve made themselves. Highest Amount of Income: My #1 tip for the retail career in The Sims 4 is to only sell things that your Sims have crafted. You can, of course, purchase goods and sell them, but you’ll barely turn a profit that way. My most profitable retail shop in the game was an art gallery. It cost my Sim only $50-$100 simoleons to create their art, but they could then turn around and sell their art work for thousands of dollars- some were even worth $50-$70k! You can do the same thing with crafted goods from the woodworking bench, floral arrangements, food (I used to make restaurants before The Sims 4: Dine Out was released, using the retail business in Get to Work), or found things, like crystals or fossils. Best Skills: Charisma is a no-brainer, as again, your Sim will be doing a lot of interacting with the public, selling goods and haggling. If you’re going to sell handcrafted goods, it’s best to work on whatever related skill that’s needed, so Painting or Handiness Skills, depending on what you’re selling. The Retail Employee Job is a part-time career, available for teens only. It allows your teen Sim to work in a rabbit hole retail store. Career Levels/Branches: There are three levels: Shelf Stocker, Sales Floor Clerk and Customer Support. Highest Amount of Income: Your Sim can earn $48 per hour at Level 3 of the Retail Employee job. Best Skills: Your Sim needs Level 2 Charisma skill at Level 2 of the job. 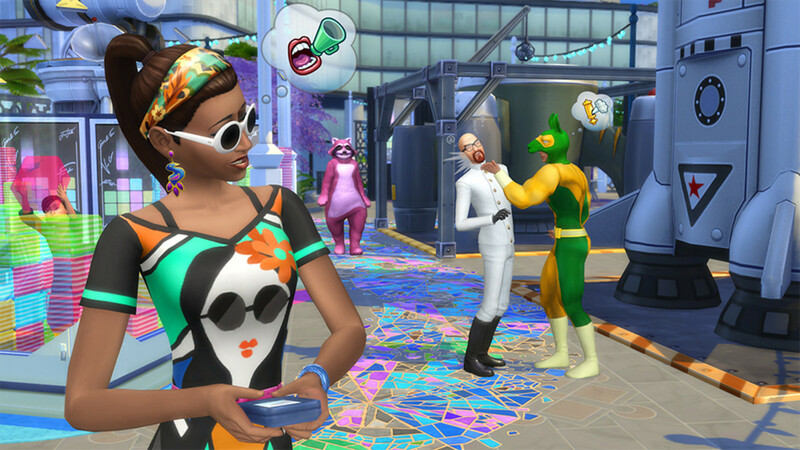 The Scientist Career is an Active Career which was introduced in the game with The Sims 4: Get to Work Expansion Pack. The career allows you to follow your Sim to work at a science lab, help them create new inventions, run tests and experiments, and eventually travel to the alien planet, Sixam. Career Levels/Branches: Active careers don’t branch, but there are ten levels until your Sim reaches Level 10- Extraterrestrial Explorer. Highest Amount of Income: Your Sim can earn $2223 per day at Level 10 of the career. Your Sim can also make additional money from selling serums, cloning and selling items, and transforming cheap objects into more expensive ones to sell using the SimRay. Best Skills: There are no real required skills for this career, but your Sim will be plenty busy having to create serums and having breakthroughs each day. Best Aspiration: There’s no Aspiration that goes with this career, but The Curator Aspiration might go well, as you’ll need different collectables and elements for your science experiments. 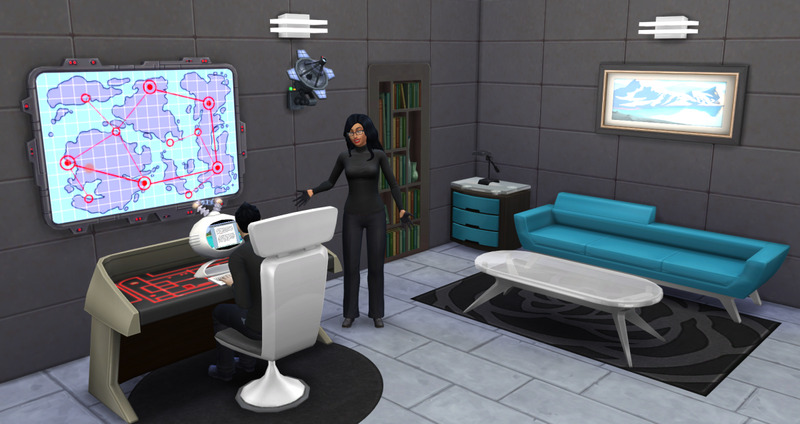 The Secret Agent Career is a base game rabbit hole career, which allows your Sim to work in the high stakes and exciting field of being a secret agent! 007, move over! Career Levels/Branches: There are seven levels in the main Secret Agent career, before your Sim can branch off to either the Diamond Agent or Villain Career branch. Highest Amount of Income: The Diamond Agent branch is super lucrative; at Level 10 of the career, your Sim can earn $4260 per day! 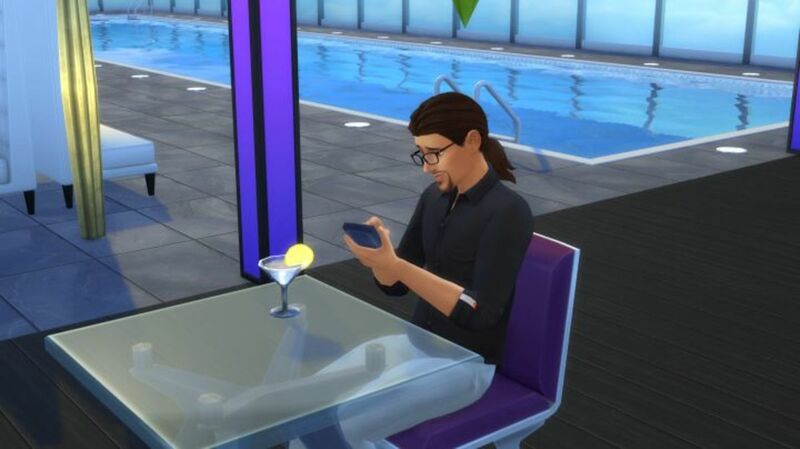 Best Skills: Your Sim will need high level Logic and Charisma skills to get through the first levels of the main Secret Agent Career and the Diamond Agent branch. They’ll additionally need some Mischief Skill if they’re branching to the Villain career. 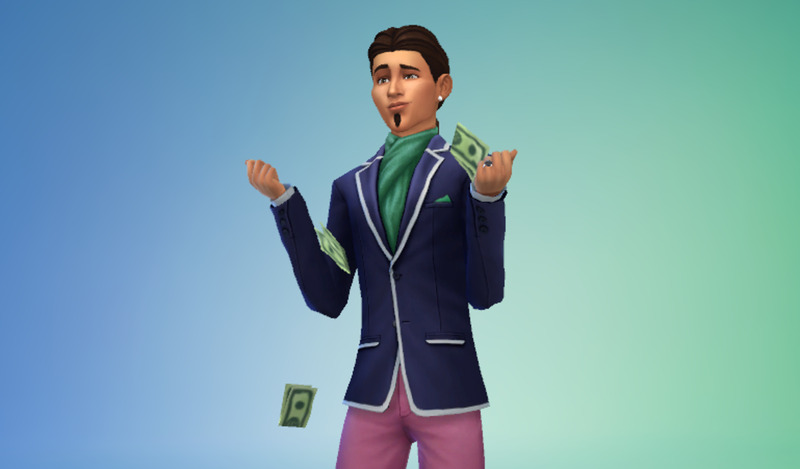 Best Aspiration: Due to the amounts of money your Sim can make as a Diamond Agent, I’d say either Mansion Baron or Fabulously Wealthy would be good Aspirations. Alternatively, your Sim can complete the Chief of Mischief Aspiration to coincide with the Villain branch. 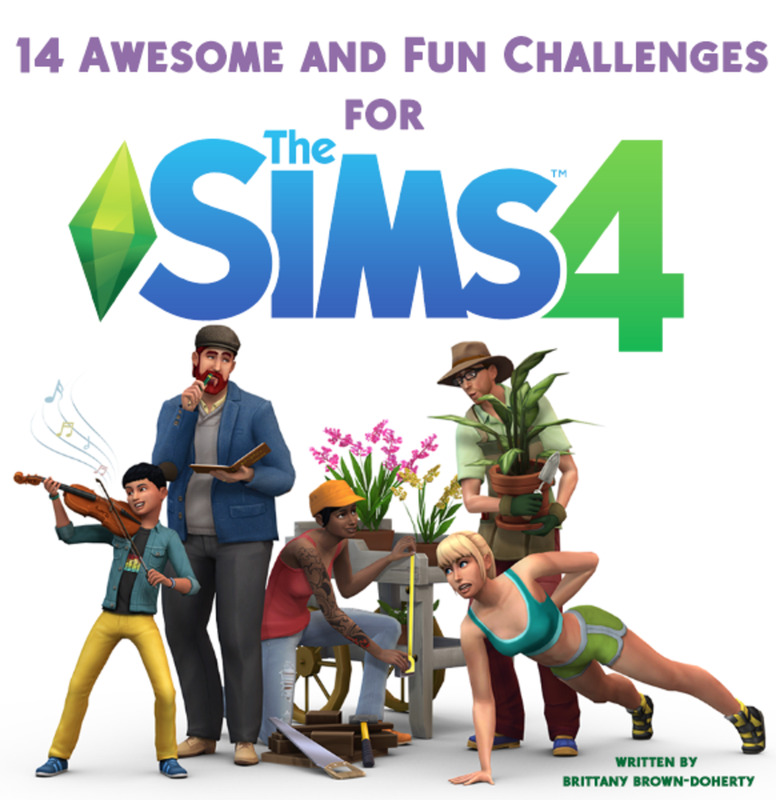 The Sims 4: City Living Expansion Pack added in the semi-active Social Media career, which allows your Sim to make money by working from the office or at home blogging, posting to Simstagram, or live streaming. Highest Amount of Income: Your Sim can earn $3,171 per day at Level 10 of the Public Relations branch of the career! Best Skills: Your Sim will need high levels of Charisma to excel in either branch. They’ll additionally need to reach Level 3 of Comedy or Mischief upon Level 3 of the main career. If branching to the Public Relations career, they’ll need to increase their skill in Writing. Best Aspiration: The City Living Expansion Pack comes with the City Native Aspiration, which might be a good choice for this career; many of the work-from-home tasks include travelling around the city. The Style Influencer Career was patched into the base game for free in November 2018, and allows your Sims the ability to work as a stylist for Sims around town, make them over, and even set fashion trends. This career is another semi-active one, meaning your Sim can go into a rabbit hole office, or work from home. Career Levels/Branches: There are five levels in the main Style Influencer Career, before branching off to either the Stylist Branch or the Trend Setter Branch. Highest Amount of Income: Your Sim can earn $3,000 per day at Level 10 of the Stylist Career Branch. Best Skills: Your Sim will need Writing, Charisma, Photography and Painting Skills all within the first five levels of the career (making it a pretty rough career to get started in!). They’ll need to maintain all those skills if going into either branch. Best Aspiration: There’s no particular Aspiration which fits with this career, but Friend of the World is probably a good choice since your Sim will be communicating with lots of other Sims for the nature of the job. The base game includes the Tech Guru Career, a rabbit hole career which allows your Sim to play video games and hack the internet and get paid for it! Career Levels/Branches: There are six branches in the main Tech Guru Career, before branching off to either the eSports Gamer or Start Up Entrepreneur Career Branches. Highest Amount of Income: Your Sim can earn $2580 per day at Level 10 of the Start Up Entrepreneur Branch. 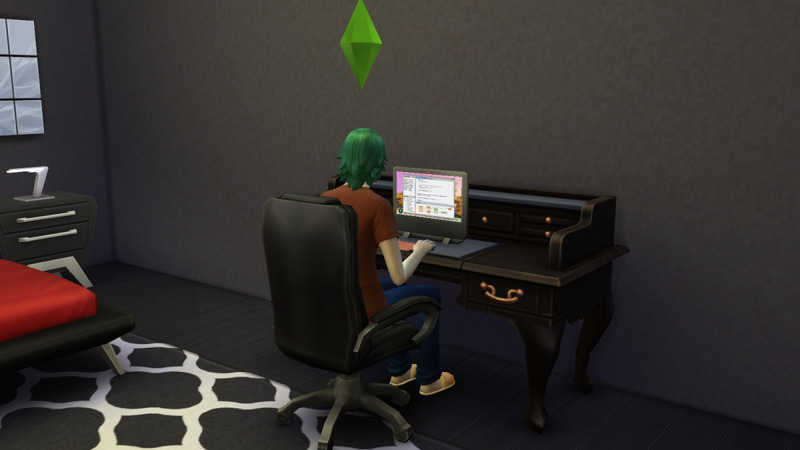 However, additional simoleons can be earned from doing hacking gigs or entering gaming competitions on the side! 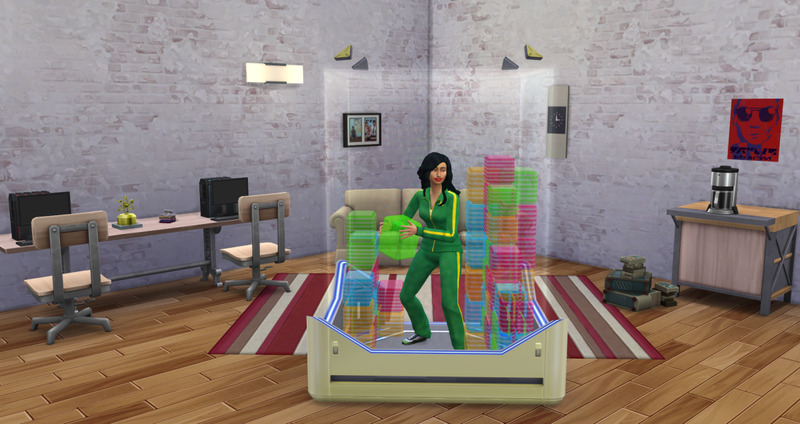 Best Skills: Your Sims needs both high skills in Programming and Video Gaming. If going into the Start Up Entrepreneur Branch, they’ll also need up to Level 6 of Charisma Skill. Best Aspiration: The Computer Whiz Aspiration fits perfectly with either branch of this career, and your Sim can complete the majority of the tasks just by doing their job. 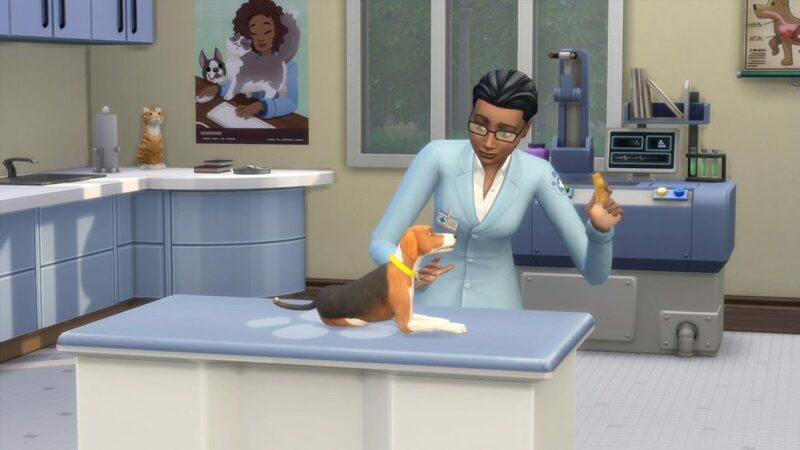 The Sims 4: Cats and Dogs Expansion Pack allows your Sim to own and operate their own Veterinary Clinic. You can follow them to their clinic; take care of sick cats and dogs, experiment with treatments, and more! Highest Amount of Income: Just like the other businesses in The Sims 4 (Retail and Restaurant) making a profit can be tricky with the Veterinarian Business. I find this the hardest one to turn a profit on, but your best bet is to markup your services and serums. 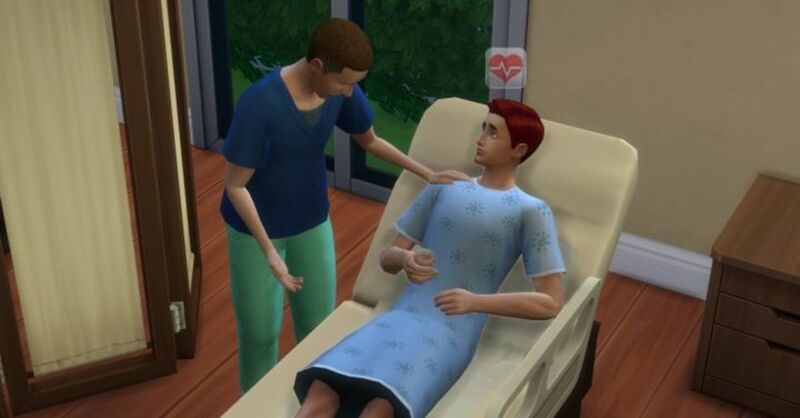 Best Skills: There is a new Veterinarian Skill, which your Sim will need to craft items to treat sick pets. The Writer Career is a base game rabbit hole career, which allows your Sim to become a writer and publish their own books! Career Levels/Branches: There are five levels in the main Writer Career, before your Sim can branch off to either the Author or Journalist branch. Highest Amount of Income: Your Sim can earn $2790 a day at Level 10 of the Author career. This doesn’t take into account additional monies made from earning royalties from books your Sim has sold. 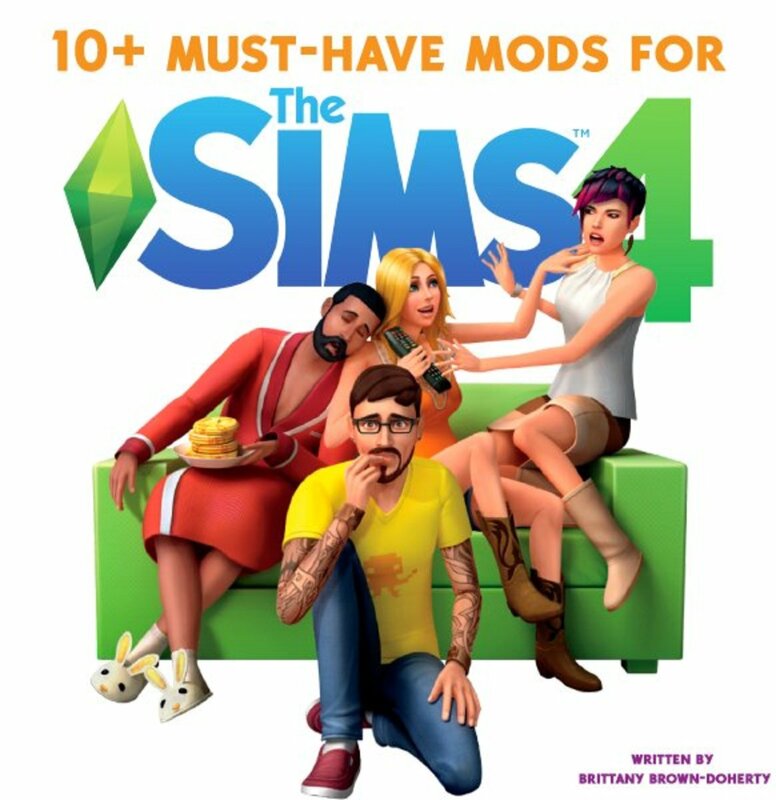 You can earn an additional $1000-$2000 simoleons daily on residual income, if your Sim has written some popular books! Best Skills: Quite obviously your Sim needs high Writing Skill to excel in this career. If they’re going into the Author Branch, they’ll also need Logic Skill, or if going into the Journalist Career, they’ll need Charisma Skill. Best Aspiration: The Bestselling Author Aspiration goes perfectly with the Author Branch of the Writing Career. You can also use it if your Sim is working on the Journalist Career, but it does require them to spend a lot of time writing books. 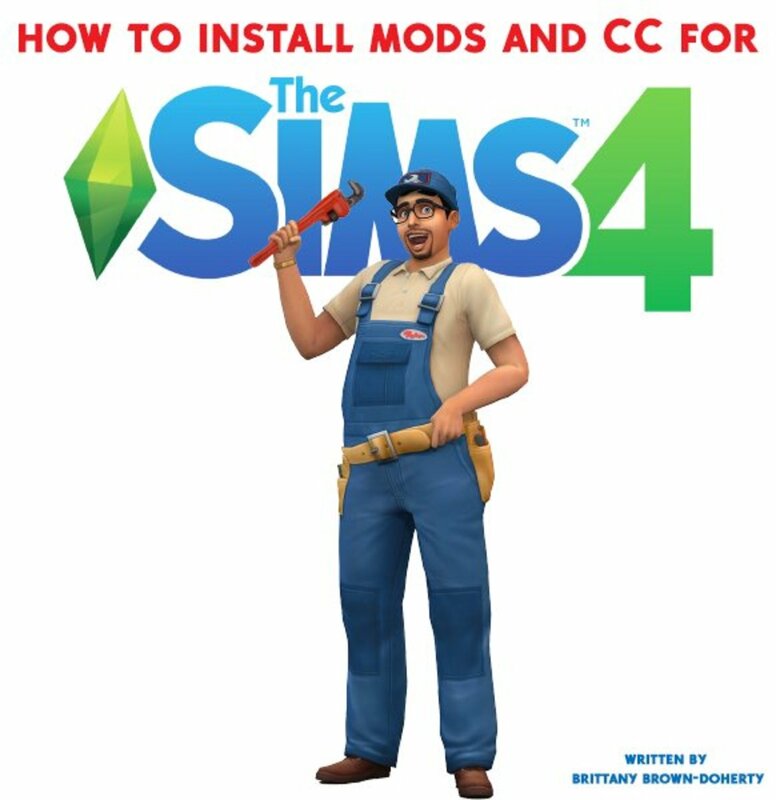 That's it for The Ultimate Sims 4 Career Guide! 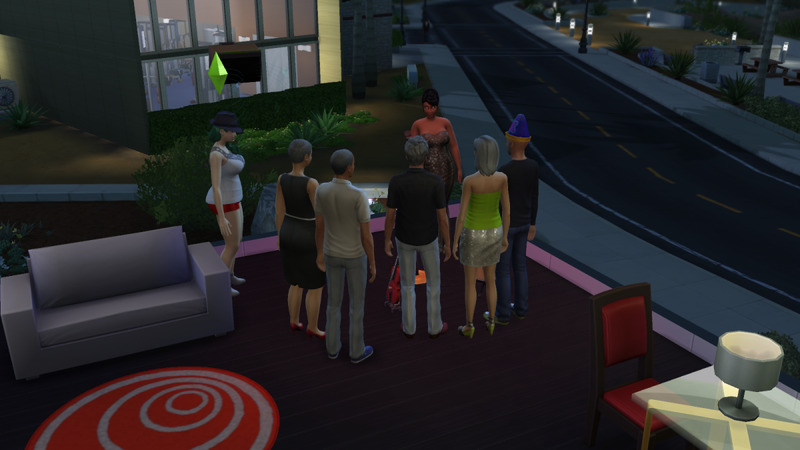 I'll continue to update this article as new careers are added to The Sims 4. What's your favourite career? Let me know in the comments section, below!